I'm actually going to do a for real post right now. So, since it's Columbus Day and many many students had the day off from classes (excluding me of course), I decided to declare my own day off. My younger brother was out of school and my mom had the day off work since she ran the Chicago Marathon yesterday so I opted to stay home with them, after the fact realizing I missed a lab assignment. Extra credit here I come. Anyways, my mom did great in the marathon finishing in 3 hours and 53 minutes and also qualified for the Boston Marathon which she is still debating over participating in. It was a tiring day for me running around the city and then going to work immediately after. I have the sorest legs today and feel like a bit of a weakling considering my mom ran 26.2 miles and is doing just great. But, on to the real post. I just have a few pictures and swatches of makeup I've acquired recently. Oh my, would you look at these beauties. 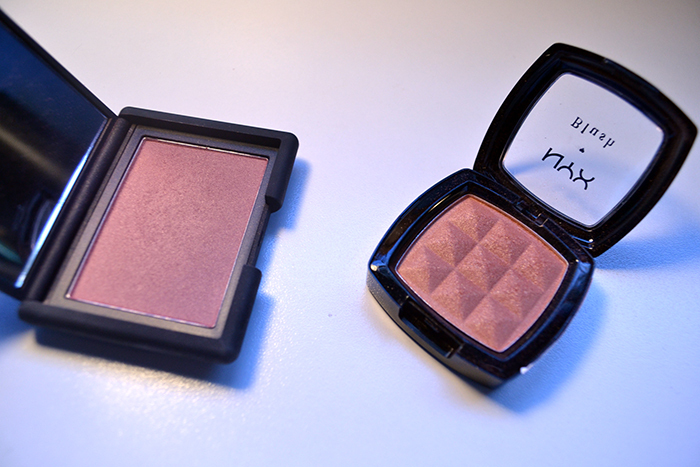 I picked both of these blushes up because of essiebutton's video on her top 5 favorite blushes. She just happens to be my all time favorite beauty blogger and youtuber. On the left is NARS sin and on the right is NYX terra cotta. 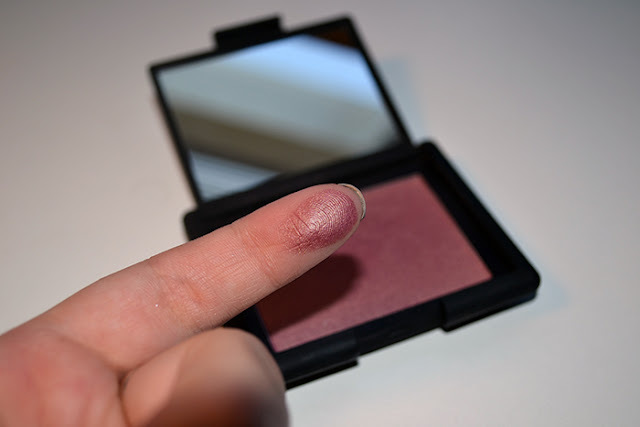 Here is terra cotta which Essie recommended as a good dupe for NARS luster, and being a college student on a budget I couldn't bring myself to buy two NARS blushes. However, NYX is also wonderful and very very affordable. I'm not too great at describing colors but to me this seems like a bronzy peach color. 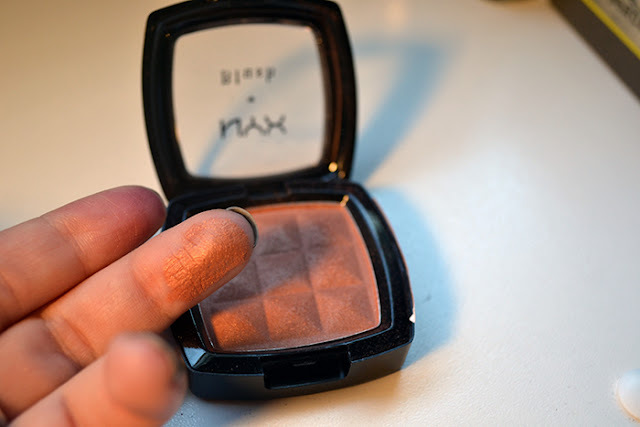 I think this is a very versatile blush and would look great in the summer as well for a bronzed look. On two separate occasions I picked up some Real Techniques brushes because they've been so hyped up lately. I originally went to Ulta to get the expert face brush, but they didn't have it so i ended up getting the foundation brush (second from the left) which is still wonderful for applying foundation. I also picked up the shading brush (fourth from the right) at the same time as the foundation brush. This brush is great for packing eyeshadow on. The brushes were buy on get one half off at the time and I paid only 8 dollars for both! Very good quality brushes for a very good price. 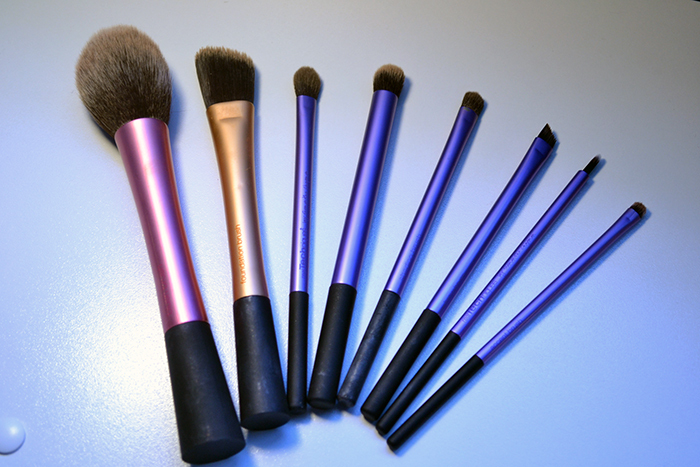 I loved them so much that a few weeks later I went back and got the blush brush (far left, obviously) and the starter set which includes all the purple brushes, minus the shading brush i already mentioned. I'm not too fond of the blush brush for actually applying blush but it's proven wonderful for powder. This is getting a bit long, so I think I'll end it here. I have gotten a few more things in the past months since I've been posting, but I'll leave those for another time. Thanks for reading, if you did! I love Real Techniques brushes. I have the core collection for your face. I'd really love the blush brush and the eye brushes too. Lovely blog. Please check mine out if you have time.